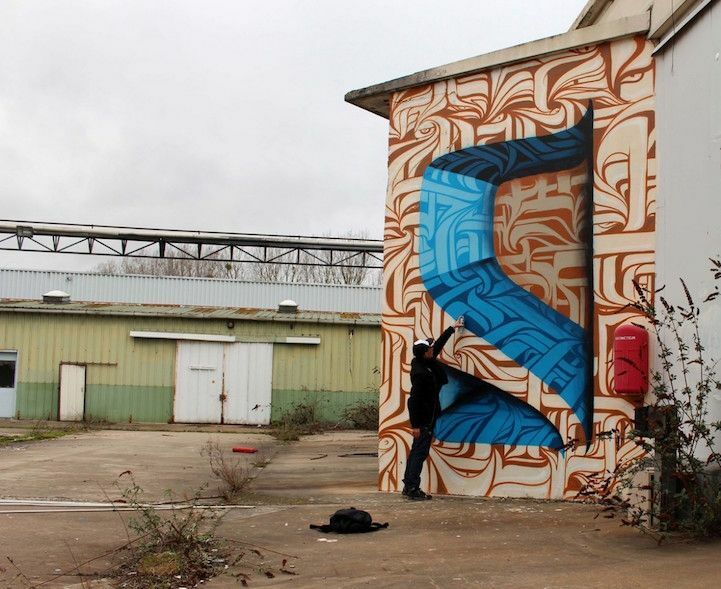 Astro created his first graffiti art in 2000 in the northern suburb of Paris. 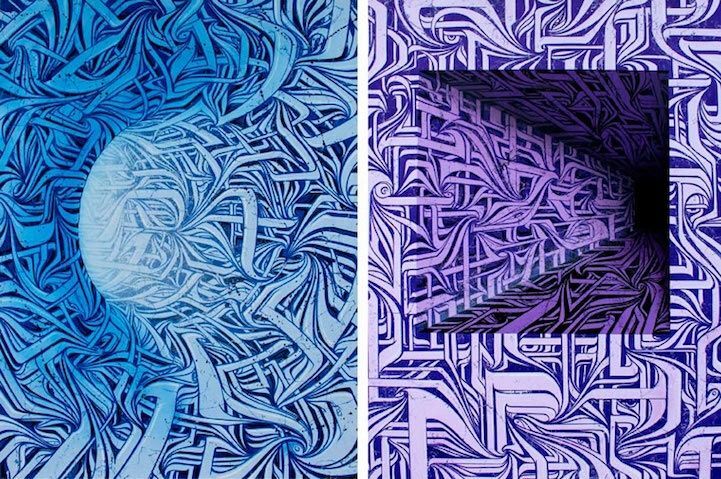 Focusing on lettering and Wildstyle at first, this self-taught and passionate artist brings his knowledge and technique towards an abstract art which mixes curves, calligraphy and dynamic shapes. 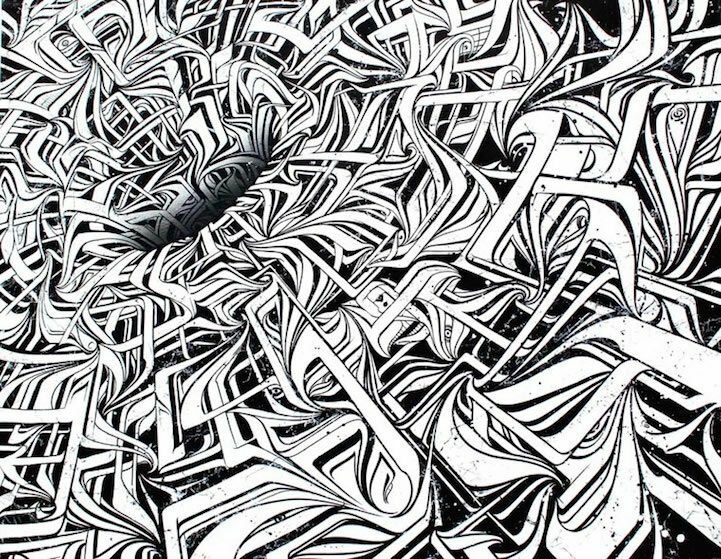 Astro is also the creator of a new technique called “CelloGraff” which he developed and uses since 2006 with the artist Kanos. 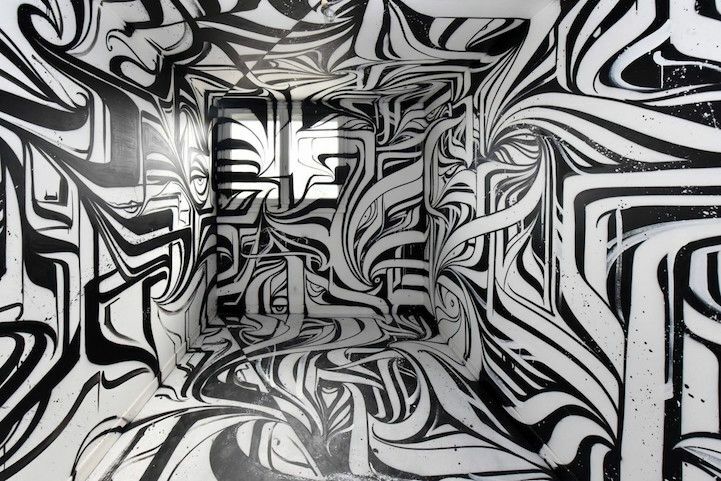 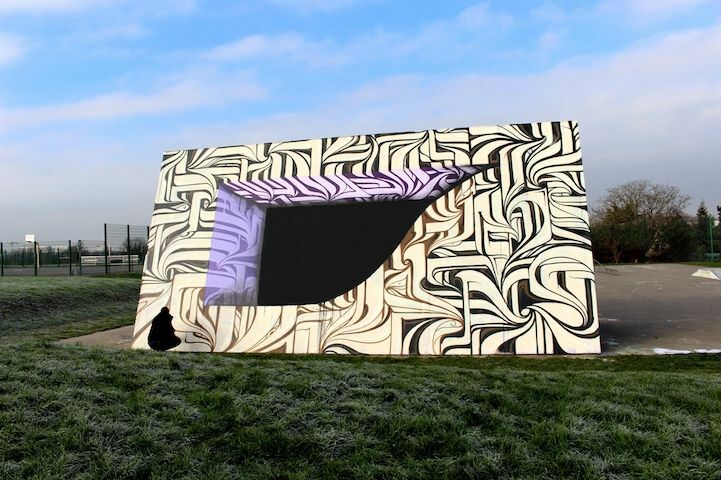 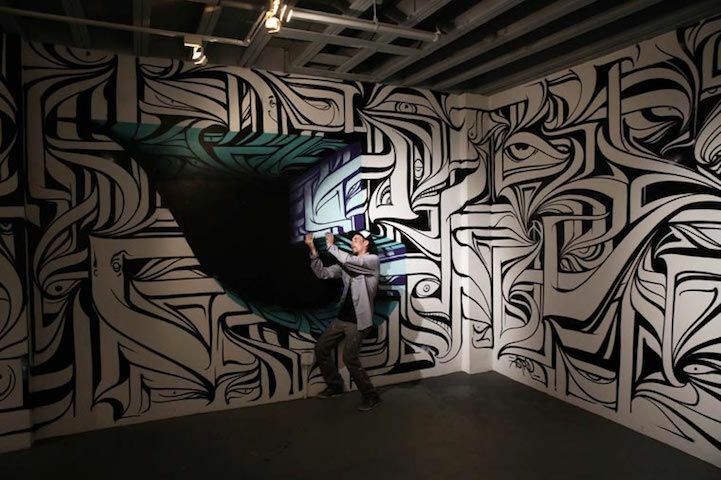 His energy and his originality make Astro one of the major street artists, as shown by his presence at many international festivals ( USA, London, Italy, Germany, Portugal…). 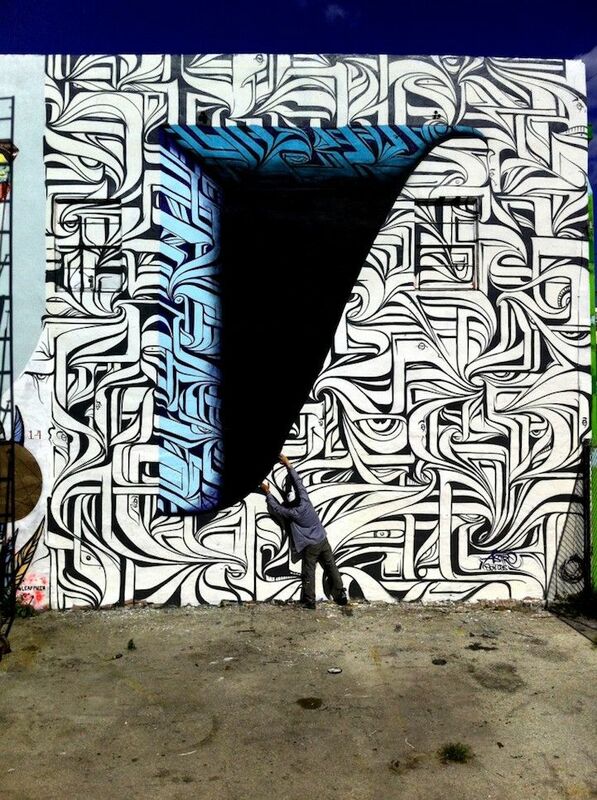 Astro is now part of the CBS crew from Los Angeles. 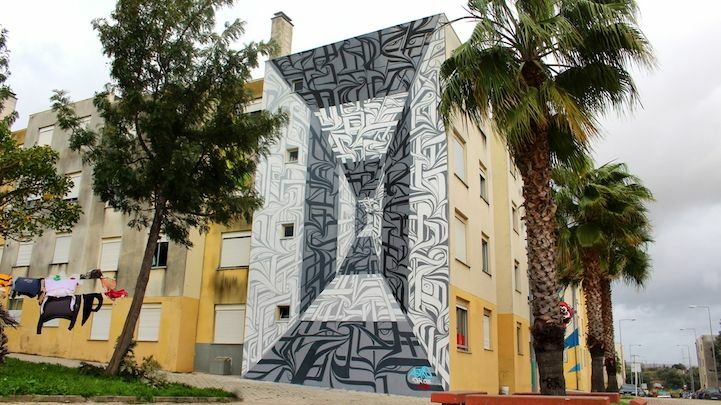 Astro’s newest work is a massive and arresting mural on a residential building in Loures, Portugal, just south of Lisbon. 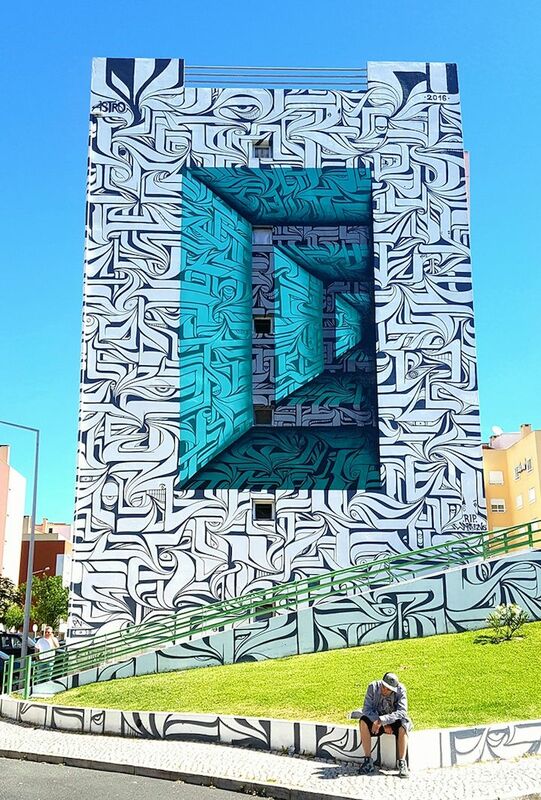 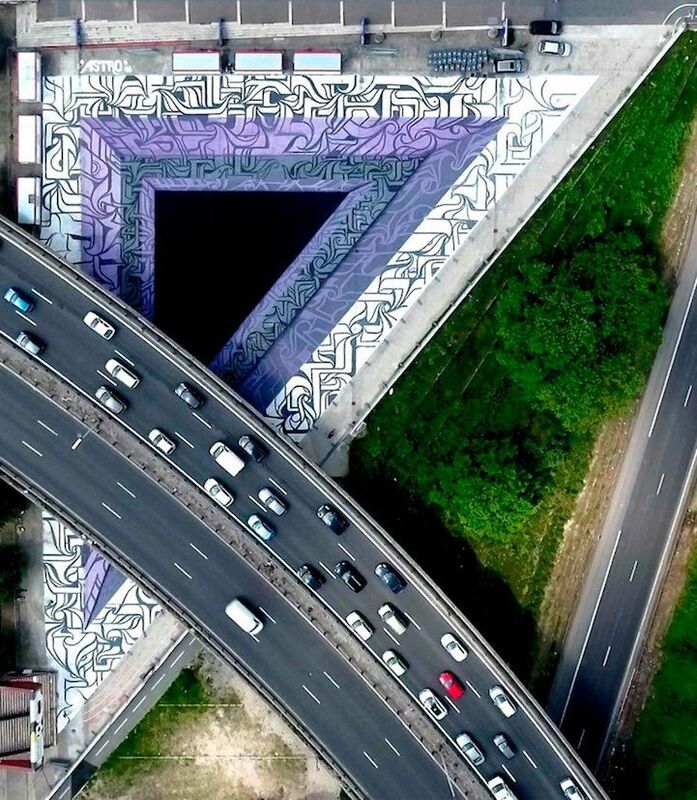 Created on behalf of urban art project Loures Art Publica, the mind-bending masterpiece uses electric blue tones to create the semblance of shadows, and incorporates the artist’s trademark technique of warped perspective to contrive a fictional abyss. 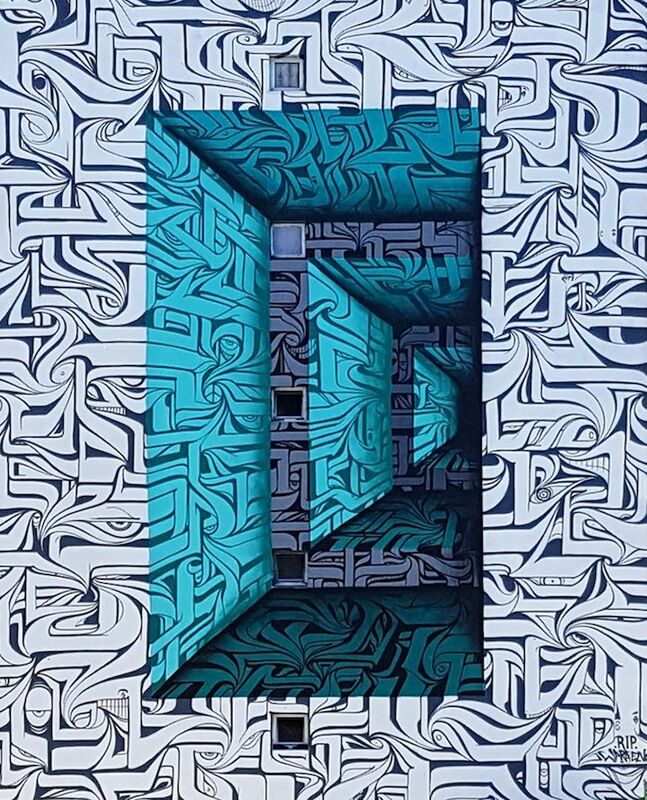 The optical illusion seems to offer entry to a parallel universe, so ordinary passersby might step off the sidewalk into new dimensions of time and space.